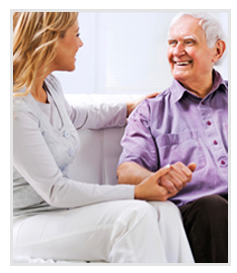 Maintaining a safe environment at home for elderly individuals is usually of priority for family and caregivers. The following resources offer viable solutions for modifying the house to make it safer for the aging individual in the home. Are Sleeping Problems Part of Aging? Many of us consider sleeping troubles as simply a part of the aging process. In fact, it is not at all. Studies indicate that the aging body requires only a minimal amount of sleep. However, insomnia and severe sleeping disorders in the elderly tend to be a result of medication side effects, poor sleeping habits, sleeping disorders that have gone untreated, and other medical conditions. Even though it is not a direct problem, it can cause other serious issues when attempting to “age in place” in the home. The aging individual, or their adult children, needs to fully evaluate the problems associated by not getting enough sleep at night. Not handling the problem directly can create significant issues when the person lives in a home unsupervised by others. They should consider eldercare, where an individual visits the home on a daily basis to help the aging individual with basic and extensive needs. The services of a home care company is an ideal solution for any aging member of the family that no longer has the ability to care for their own needs, and requires the skills of another. Instead of moving that individual into a nursing home, the family can consider hiring a personal care assistant, a skilled nurse or a home care specialist. 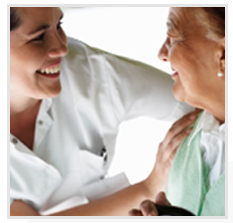 The home health aide can assist the aging individual at maintaining a daily routine. They can assist them in effectively monitoring their medications and ensure that they are waking up and going to bed at the correct times. They can help them groom and bathe, prepare their meals, clean their house, and keep them active throughout the day. The aide can help monitor their mental and physical activities including therapy routines, reading, walking, playing cards, writing or other things to keep their mind and body active. A personal care aide can also help by transporting them to the doctor, to the pharmacy, social events, religious activities and other places. They can make reports on medical conditions, and help the elderly individual maintain a schedule. While it is true that many caregivers for the elderly can be stressed out and eventually burned out, it is much easier on the family members to have their own load lessened. This will allow the adult children and grandchildren to spend their time providing loving companionship and social interaction with their aging parents and grandparents.